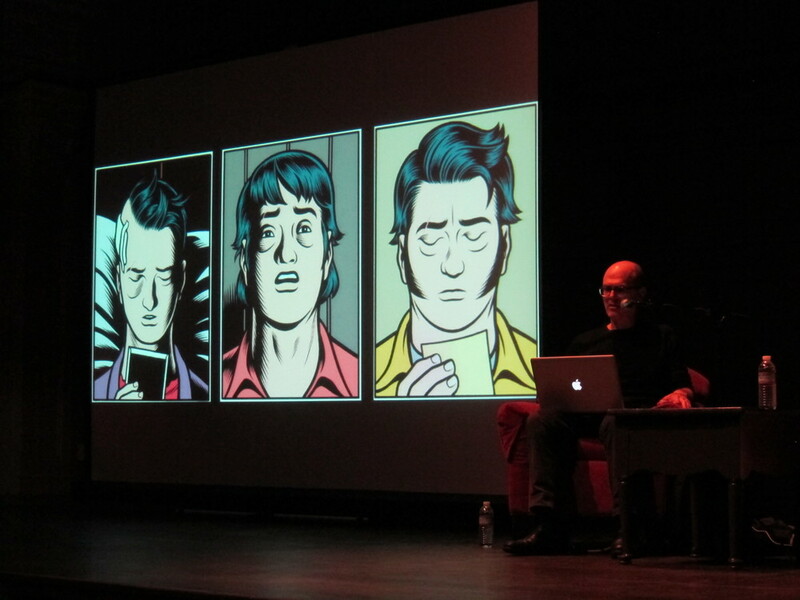 Last night, I went to an artist talk featuring Charles Burns and Chris Ware: Building Comix. It was very informative and interesting! I liked how Charles Burns keeps all of his image inspirations and interests in binders, almost in a hyper-organized fashion, something that I admire. He talked about how things like that get integrated into the work itself, with some of his characters pulling out binders of images and talking about them. 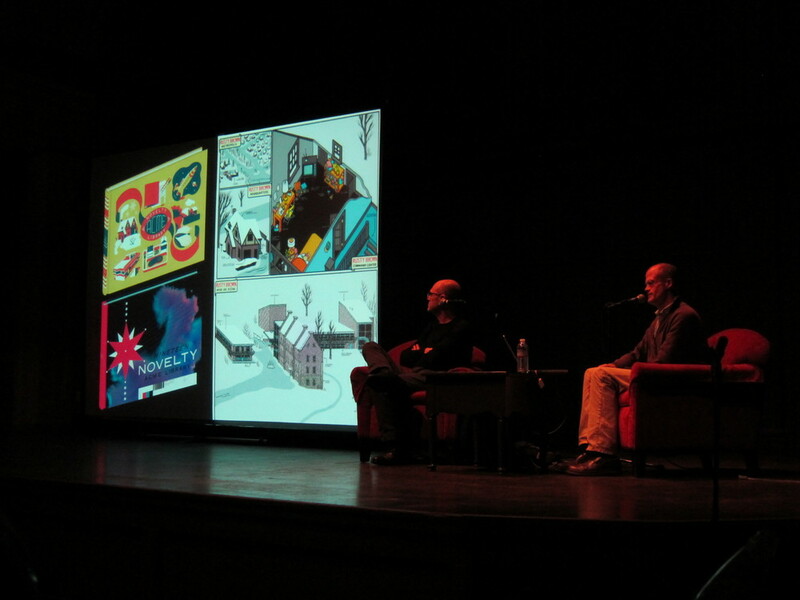 I loved Chris Ware's presentation a lot, and I thought he was quite hilarious (even when he may not have intended to be). He talked about how he doesn't script his work, and he just lets it build itself on the page as he works on it. It was interesting to see both Charles Burns and Chris Ware's processes in how they think about building comics. A lot of who they are gets integrated into their work, whether it's in a way they realize or not. 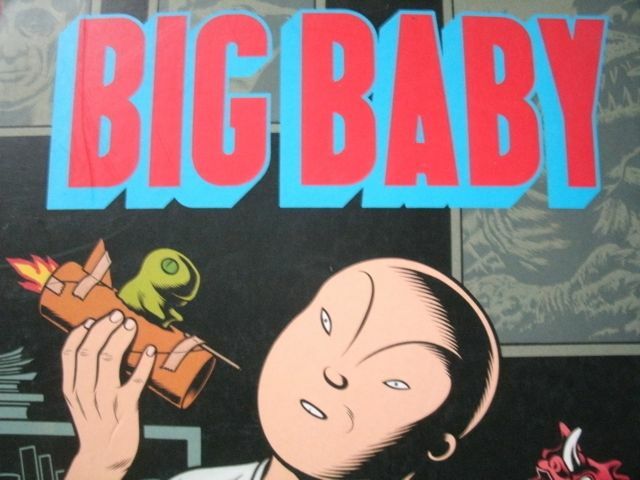 I bought Jimmy Corrigan by Chris Ware, and Big Baby by Charles Burns. They are both signed. It was a great event!